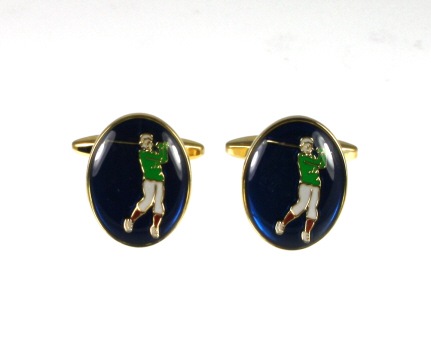 A pair of men's golf cufflinks in blue enamel with a golfer swinging a golf club. This gift is definitely a hole in one! Golfers and golf bags on plain tie. Available in three colours.